For Sale: ADCi600F-D111 - Secure Tech, Inc. 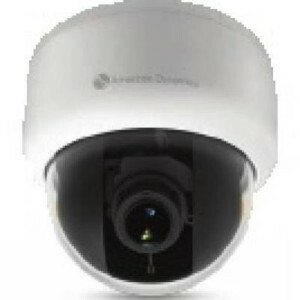 The versatile Illustra Flex Mini-Dome, Indoor or Outdoor, is a True Day/Night network camera that provides 1MP or 3MP full HD resolution for high quality images. H.264 and MJPEG video compression provides excellent image clarity, and efficient bandwidth and video storage. With a small, aesthetically pleasing design, the affordably priced Illustra Flex Mini-Dome offers an effective solution for retail stores, K-12 schools, small bank branches and small to medium size offices with a tight budget and a variety of surveillance needs. With a variety of mounting options making it easy to install, these cameras can be strategically placed to blend into in a variety of interior locations such as the cash register terminal at a retail store, the lobby/corridor of an elementary school or inside a 24 hour ATM vestibule. Featuring built-in IR illuminators, the outdoor Illustra Flex Mini-Dome produces clear images at an effective distance up to 49 feet in a variety of low light conditions. The outdoor camera also comes with a vandal-resistant housing to protect the camera against external impacts that might occur if an intruder was attempting to take the camera out of operation. With an IP66-rated enclosure, this outdoor mini-dome is ideal in situations where dust or water could damage the camera – a loading dock, parking lot or off-site warehouse.